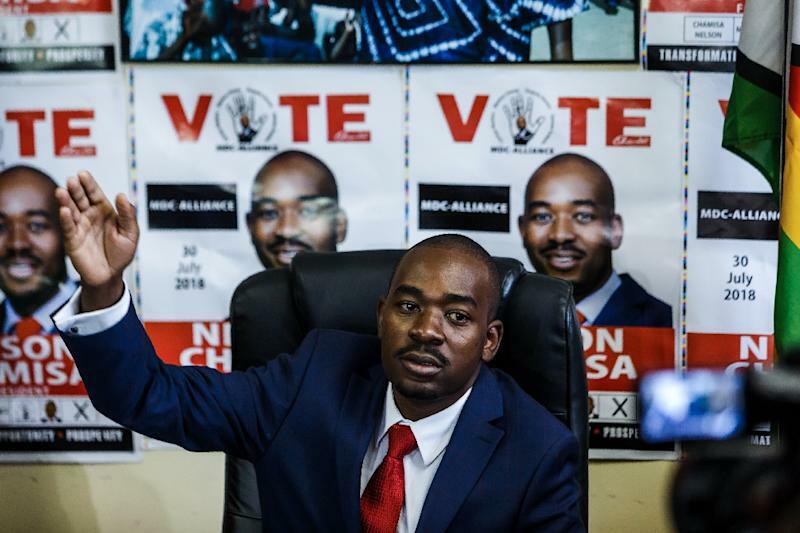 Harare (AFP) - Zimbabwe opposition leader Nelson Chamisa called on Tuesday for associations of African states to ensure that the country's historic election later this month is fair, adding his party would not boycott the vote. The Southern African Development Community (SADC) and African Union (AU) have both sent observer teams to the election -- the first since long-time ruler Robert Mugabe was ousted last year. "I have already sent a signal to SADC. I have sent a signal to the AU" to ensure the fairness of the elections, Chamisa told journalists at his party's headquarters in the capital Harare. "We cannot possibly have an election if we do not know where the ballot paper is (and) who has printed the ballot paper," he said. "We are escalating this matter to (the) SADC," he said. "We are writing to (the) SADC to request an extraordinary summit... (to) deal with this stalemate and this dispute." "We will not boycott the election because we are the winners," he said. "We are ready for victory, there is no way Mnangagwa is going to defeat us."